Co-Writing A Song?. . .
Take Care Of Business First! Co-writing songs with another co-writer or a producer can be a great way of improving or exploiting your songs, but caution must be exercised to ensure that you don’t end up with a split in ownership of the copyright, or other consequences, you don’t anticipate. In the following article Owen J. Sloane, Esq. Partner: Gladstone Michel Weisberg Willner & Sloane, ALC–Los Angeles, CA offers eight solid tips to help you through the co-writing process. 1. When you sit down with a co-writer to start co-writing a song, make sure to establish that when the song is finished you will mutually agree on the splits in writing. In the absence of a written agreement, the Copyright Act provides a default position that divides copyright ownership in the song equally regardless of the relative quantity or quality of the material created by each co-writer. And there is no distinction in copyright law between lyrics and music or between writer’s share and publisher’s share. The percentage of ownership is based on 100 percent of the song, including lyrics, unless you agree in writing to a different split. And that split will apply even if the music is exploited without the lyrics and vice versa, unless you specifically provide in writing that the writer’s intent was not to merge lyrics and music together, but to treat them as separate copyrights. In that case, the writer of the lyrics and the composer of the music would split income as agreed only when lyrics and music are used together. Establish at the outset that ownership of the final song will not necessarily be divided equally. 2. Rappers are writers. A rapper who contributes original material to your song is entitled to share equally in the ownership of that song with all other writers, unless you and he/she mutually agree otherwise and put that agreement into a signed writing. Also a person who supplies beats may claim an interest in the song resulting from use of those beats. This is still unsettled in law, but don’t take a chance and don’t use beats supplied to you without an agreement in writing as to how much of the copyright you are willing to give up to the creator of the beats. 3. Once the song is finished, agree on the splits and commit that agreement to writing. A simple agreement listing the song title, the percentage of the song owned by each writer, i.e. “the splits,” dated and signed by each co-writer will suffice for each song. 4. If your song is completed and submitted to a producer or musicians for recording, unless otherwise agreed, the producer and the musicians who record the song may acquire a copyright interest in your song by reason of their contribution(s) of original material to the song during the recording process. Not all contributions will entitle them to a copyright interest, i.e., minor tweaks to the song, licks created by musicians and arguably even beats, may not qualify for copyright protection. Accordingly, make sure it is agreed up front in writing, whether the producer and/or the musicians will have been deemed to contribute anything to the song itself in your opinion to vest in them an interest in the song. If so, the splits should be agreed upon in writing and if not, the producer and musicians should sign off waiving any claim to an interest in the copyright in the song. Since the copyright in the recording is different from the copyright in the song, a separate agreement should be reached regarding both copyrights. 5. Register the copyright in the song and the sound recording with the Library of Congress as soon as possible. Although registrations do not ask for the percentage of ownership, they do ask you to indentify each author or claimant. Such applications can therefore be evidence of how many writers contributed to a song and their names and whether they are claimants. 6. If you register a song and later collaborate with a co-writer or a producer or other third party who adds new material, you can separately register the new version of the song. The new registration should identify the new material and will protect only the new material and establish a claim to co-ownership by the additional writers in the new material only. The splits for the song resulting from the incorporation of the new material need to be agreed to in writing but in such an instance the co-writers of the new material will acquire an interest only in the song embodying the new material and not in the song as originally registered. 7. If you agree that someone else has an interest in the copyright, be aware that under US law, each co-writer has the right to license the entire song on a non-exclusive basis and collect 100 percent of the compensation, subject to an obligation to account to the other co-writers. If you are an artist and want to control licensing to other artists, or want to approve usages, which you may find objectionable, you must have an agreement with the co-writers that either everyone must agree on a particular usage, or you as the artist have the exclusive right to approve usages. 8. Although each co-writer has the right to license 100 percent of the song non-exclusively, most licensees will require that all co-owners agree to a license. Accordingly, if you are an artist and want to compel other co-writers to issue licenses or agree to a license that you need as an artist, i.e., for a video, or for another synchronization usage, you need to cover that in the agreement as well, otherwise co-writers can nix a license by refusing to license or by asking for too much money. Songwriting—it has such a nice ring to it. You know what would sound even better? Making money from it. How in the world does one even begin to start that process? Following up on my article in our last Songwriters’ Issue (March 2012), here are some more ideas and talking points for the songwriter with serious ambitions. There are hundreds of success stories about one-hit wonders and flavors-of-the-month, and they all have one thing in common: Somebody was in the right place at the right time. But to get ready to make the most of that right moment requires patience, organization, and, of course, talent! Meanwhile there is one avenue to making money from your music that has become much more accessible than it used to be—licensing. We’ll focus on that. But first, let’s talk about another kind of focus—yours. Will you be a professional songwriter, writing for a job, or are you going to write what you want, and damn people’s opinions/agendas? If it’s the latter, keep your day job—forever. Make a decision and stick to it. What are you going to shoot for? Have you considered writing for television, or for advertising, or movies? While it’s not realistic to absolutely want to decide this early on, somehow you already know whether you gravitate towards The Beatles, or John Williams, or both. No matter what music genre and media outlet you have in mind, songwriting comes down to one thing, and that’s a hook and a theme. If you try to go pro with the widest appeal, Pop music owns that market. There are so many Pop writers and writer wannabes. How does one stand out? These days Pop music encompasses everything from Hip-Hop to Country, to Rock, etc. One of the biggest mistakes inexperienced artists/writers make very early on is that when they’re asked what their genre is, they say something like “Well it’s a little Pop, with a little Country, and some Metal, and Progressive Rock, etc.” Do you know what that tells me? It tells me that you have no idea what the heck you’re doing. No focus! If you suddenly decide that you’re going to write Pop songs, and your favorite band is Metallica or some stoner band, you’ll never get it. If you didn’t gravitate towards Pop early on, chances are you never will. If you really want to study the great Pop writers, I highly recommend learning the entire Beatles and Monkees catalogues. Pop songs in the ‘60s were so simple, yet really hooky, and many are great examples of the lyrical and musical simplicity needed to grab hold of the average radio zombie listener. How does the listener relate to the lyrics? Is the hook stuck in their head for the rest of the week? A writer can’t go wrong with universal themes, but deliver them in a clever way. This sets one apart. Once you’ve gotten your focus together and produced some decent tunes, make some decent demos. Presentation is everything. If your music is rendered professionally, you’ll be perceived as professional right off. While it’s not vital to do so, many committed pro songwriters find that to get where they want to be, they have to move to where the business is. Try Nashville, Los Angeles, etc. When you get there, seek out publishing houses, jingle houses, and the like. Make a professional presentation. Assume everyone will say “no”, but keep pushing and writing. If you want to be a jingle writer, make up jingles for various products already on the market. For songwriting I suggested to focus on one style, but in the case of jingles, no matter what music style, it is also true that the focus is the hook and its clever delivery. That’s the universal factor in jingles. So try making everything from a 1940s vibe to modern ad music. Network and collaborate. Go to every networking event you can. Make note of the major names, seek them out at functions. Network with other aspiring writers as well, and collaborate with them. You never know, one of them could be the next John Lennon, and if they get a hit, it could rub off on you. Just make sure you know how much of the song you retain before you leave that night. Be quick. When someone asks you for something, get it to them quickly and perfectly. No half-assed work, as that first request could end up being your last. Study everything. Understand that there is always something to learn, and that you must be open to anything. I have friends who are some of the top players in the universe, have been in the top bands, and still strive to learn new things. I also know some guys who are 40 years old, still talk about a garage band they were in at age 20, haven’t done anything since, and think they play as well as Alan White of Yes. That type of mentality/ego has no future. You can never peak at your skills, you can only evolve. The moment you think you’ve done it all is the moment you should quit. Have you heard of Jingle Punks? Check out some of the shows they provide music for. If you’re determined to try as many avenues as possible, watch the shows they work with, study the music they use, and make loads and loads of tracks just like the ones they broadcast. Seek out the music supervisors/editors, and try to get noticed somehow. Learn the business inside out. 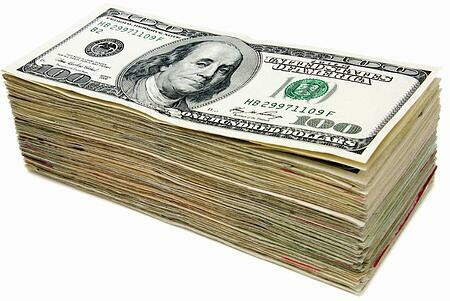 Make sure you learn how licensing deals, songwriting deals and fees all work. There are plenty of resources available, and it is essential that you understand it all. It’s not enough to write a great tune, you have to learn how not to get screwed when you sell it. ~ Pray. Religious or not, you’ll need all the help you can get. It’s free, and couldn’t hurt even if it does or doesn’t work. ~ Perfect your craft. I’ve seen so many artists who do not have the capacity to understand how crappy they are! ~ Persevere. Those who have great skill and are determined always rise. Some kind of niche and opportunity will present itself as long as you do not quit. Put these concepts into practice, and you’ll be on the road to success in a very difficult business. But if nothing else, they may help you to realize that you really did want to become an architect, like Mother suggested. Eric Alexandrakis (alexandrakis@recordingmag.com) is a highly successful songwriter, producer, and recording musician. 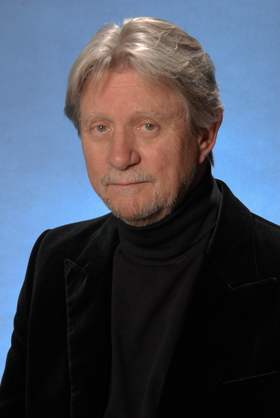 He was a pioneer in digital copyright protection, producing the first-ever digitally watermarked CD while in graduate school, and has had several top-40 hits on the Adult Contemporary charts. Learn more at www.ericalexandrakis.com. 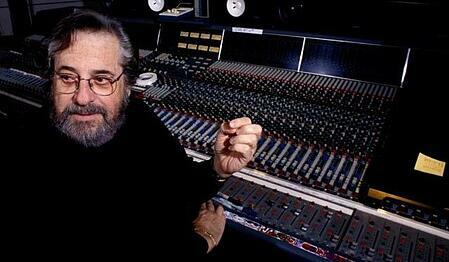 Phil Ramone has worked with virtually every top music star including Bob Dylan, Frank Sinatra, Barbra Streisand, Ray Charles, Rod Stewart, Elton John, and Paul Simon, often as a producer, occasionally as a songwriter. He recorded Marilyn Monroe’s infamous performance of “Happy Birthday” to JFK. He’s the co-founder of A&R Recording, Inc. He had a key role in the release of the first ever album, Billy Joel’s 52nd Street. A former violin prodigy and expert engineer, he worked with Dylan, Sinatra, McCartney, Bennett, Charles, Streisand, Simon, Joel and Bacharach and spent more than 50 years in the business. Phil Ramone, the instinctive music producer whose mixing mastery for Frank Sinatra, Barbra Streisand, Bob Dylan, Ray Charles, Paul Simon and Billy Joel helped fashion some of the most sumptuous and top-selling albums of his era, has died. He was 72. Ramone was married to Karen Ichiuji-Ramone (a.k.a. Karen Kamon, who had a top 100 hit in 1983 "Manhunt", featured in the hit movie and stage musical "Flashdance"), with whom he had three sons. The 14-time Grammy winner and 33-time nominee once dubbed “The Pope of Pop” was hospitalized in late Feb. with an aortic aneurysm in New York and died Saturday morning at New York Presbyterian Hospital, according to Ramone's son Matt. A native of South Africa who at age 10 performed as a violinist for Queen Elizabeth II, Ramone spent years working as a songwriter, engineer and acoustics expert in New York before charting a path that would make him a trusted studio partner in the eyes (and ears) of the industry’s biggest stars. Among the albums on which he worked were Streisand’s 1967 live A Happening in Central Park; Paul & Linda McCartney’s Ram (1971), sandwiched between the Beatles and Wings eras; Dylan’s aching Blood on the Tracks (1975); Simon’s pop classic Still Crazy After All These Years (1975); Joel’s critical and commercial breakthrough The Stranger (1977); Sinatra’s last-gasp Duets (1993), a model of technical wizardry; and Charles’ final album, the mega-selling Genius Loves Company (2004). Ramone served as a songwriter in New York’s famed Brill Building music factory and worked early on with Quincy Jones, Tom Dowd, Creed Taylor, Jerry Leiber & Mike Stoller and Burt Bacharach & Hal David, among others. In 1959, he launched the A&R Recording studios on Seventh Avenue in New York, where Blood on the Tracks and so many other classics were recorded. Born on Jan. 5, 1941, Ramone at age 3 began studying the piano and violin, and he attended the Juilliard School in New York as a teenager. Although he was an accomplished performer and composer, he was attracted to the technical side of music and became a wizard working with the dials. 1979 – Record of the Year for producing "Just the Way You Are"
2003 – Best Traditional Pop Vocal Album, for producing "Playin' With My Friends: Bennett Sings The Blues"
In looking at songs there is a huge leap from "good" to "great". When a listener first hears a song, that leap is made possible by the writer of the work doing the "inviting in" using humor, irony and detail. Ease of singing,"accessibility", remaining linear when you tell your story, having melody to cling to, making sure there is no confusion over what the title is and telling a story with a beginning, a middle and an end are all part of the songwriters "tool kit". If the songwriter doesn't have the creative savvy to create an expectation by making a statement, asking a question or having enough detail to make the listener keep listening all the way to the resolution of that statement/question, then the listener is gone. Once the listener is gone, they're gone for good. As what lures the listener to the piece of work is melody, and what keeps them there is lyric....oh, I know, I have friends who,say, "I love this song(song X) and I don't know the words to it" well, if you play the song for them, they DO know the lyric subliminally. And that's what kept them there. No matter if that lyric is only "call and response" ie: Na Nahs, they know it. That first listen is so important. Everyone speaks of "first impressions" in meetings or dating or employment opportunities, well, first listens when you are a songwriter peddling your wares is just as important. AND you, as the writer are totally in control of the way the way the listener receives the information you want them to hear. That "first impression" doesn't change if your song is being heard for the first time by a judge in a song contest or the producer of the hottest act in the world. We all face the same demons. It doesn't matter if it's the first time you play a new song to someone you need to impress or the one millionth new song first time. It's all up to the song and that song will be as good as the writers craft allows his/her vision to be shaped. Demo vs. master recording—what's the difference? You might as well ask the difference between Norma Jeane Baker and Marilyn Monroe. In the same way we evolve from blossoming youth, searching for the best ways to express ourselves, to realizing our potential as a self-possessed adult, a song often undergoes a drastic transformation from rough demo to fully produced track. Making demos can be as simple as performing the song into your phone's voice memo app or using a computer program like GarageBand to flesh out a basic accompaniment to the melody. Or, many cities have demo studios you can hire, complete with session musicians and a vocalist who will perform in the desired style for pitching the song to a recording artist (be aware that in most cases, you will not retain the master recording rights to be able to license these tracks for use in film and television or to put on your own release and sell). By nature, demos should not be fully produced but remain stripped down so music professionals can easily envision possible arrangement and stylistic ideas for the song. Master recordings, on the other hand, are fully produced "broadcast quality" tracks. Whether recorded at home or with a producer at a recording studio, they should be professionally mixed and mastered to be ready for radio and online broadcasting, available for sale, and placeable in film and television. Unless you are deliberately recording a live performance, masters require several weeks to months to a year or more of preparation. You will need to spend significant time in pre-production and rehearsals with your team (producer, arrangers, musicians, co-writers, etc.) fine-tuning the song form, instrumentation, arrangements, tempo, feel, and overall sound or vibe just right for the finished recording. 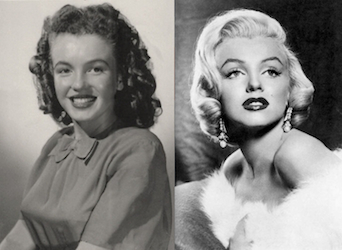 Like Norma Jeane and the iconic screen personality she became, both are beautiful—and at their core, they are one and the same. As we saw many times with Marilyn's image though, diamonds in the rough run the risk of being over-produced or sexualized, feeling too "manufactured" and in danger of straying too far from the authenticity that made them so special in the first place. If we follow our instincts and mold raw inspiration into a polished presentation that best serves the song and reflects its original joie de vivre, that fundamental essence will ring true in the final creation.